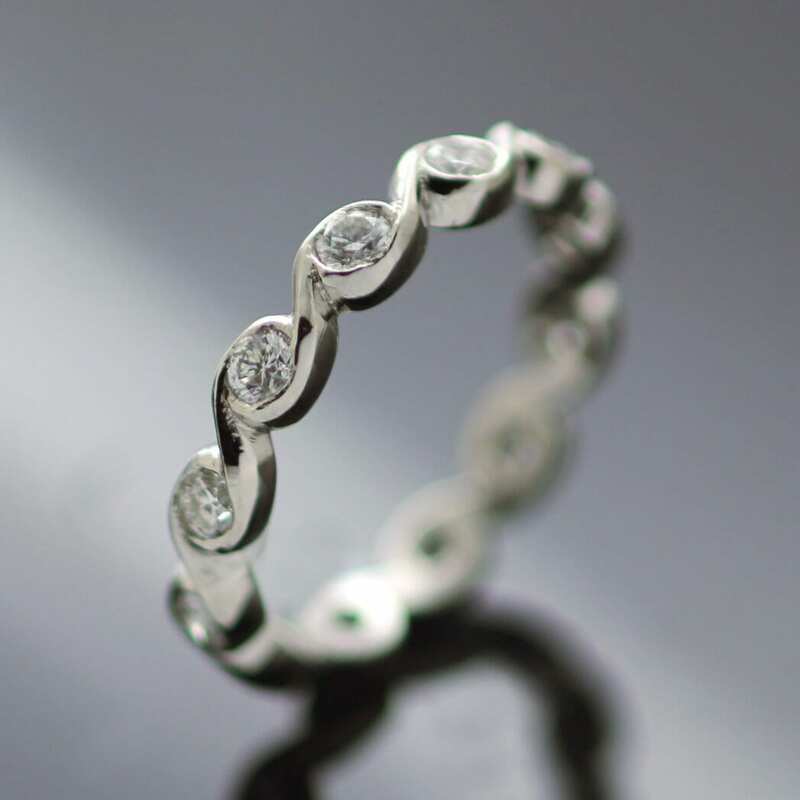 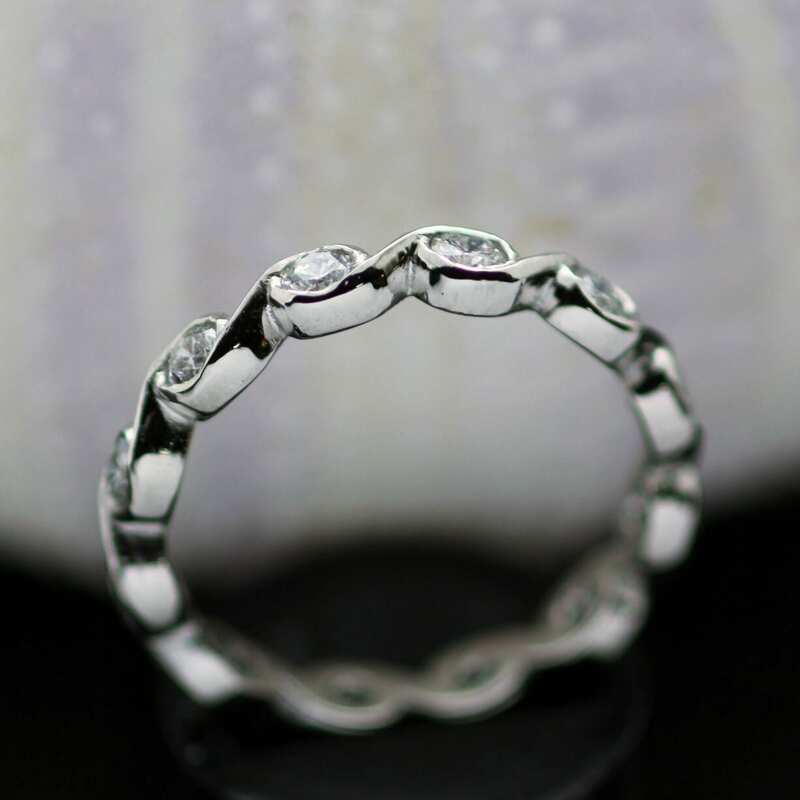 An elegant and modern bespoke full Eternity band made with solid, dazzling Platinum and adorned with twelve beautiful Round Brilliant Diamonds to create this sleek, bespoke Eternity ring. 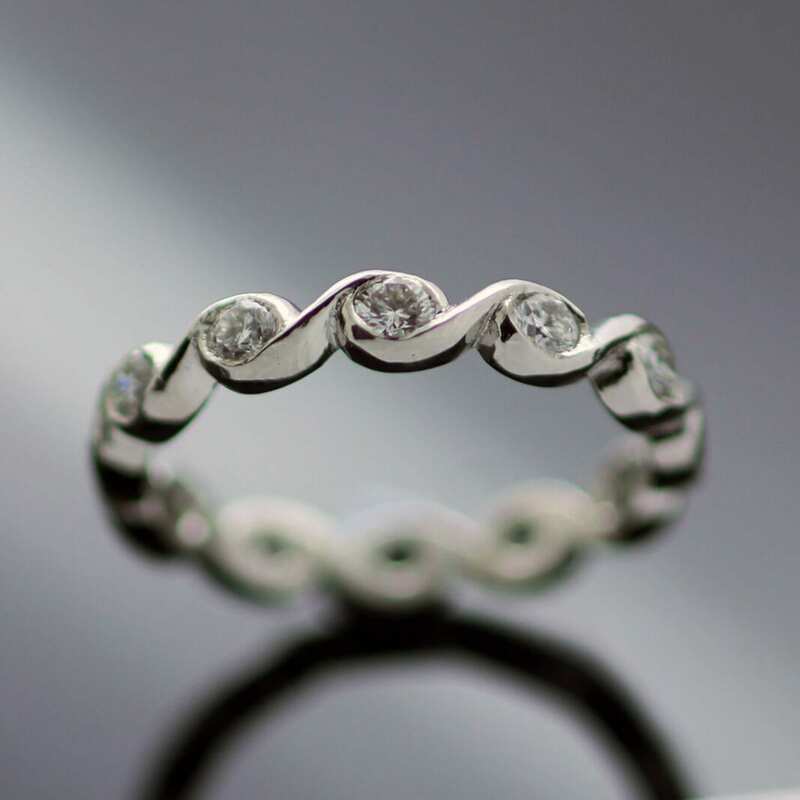 Designed in collaboration with our clients to create an undulating wave Eternity band design which is personal and perfectly suited to a contemporary style. 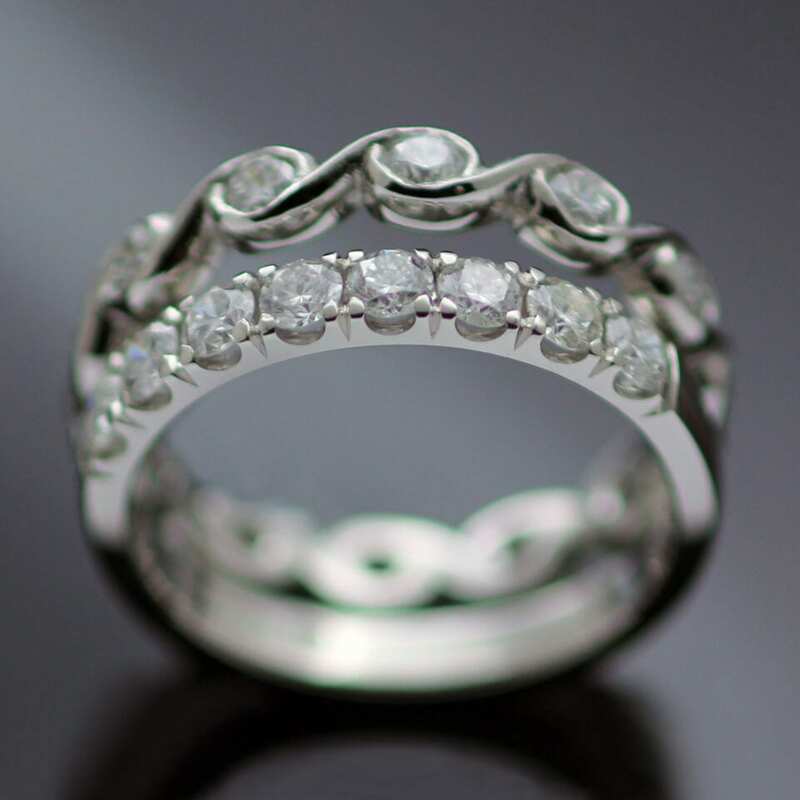 This gorgeous eternity band features twelve dazzling Round Brilliant Diamonds which are handset in solid Platinum, finished with a high shine polished finish to enhance the icy sparkles of this unique piece.